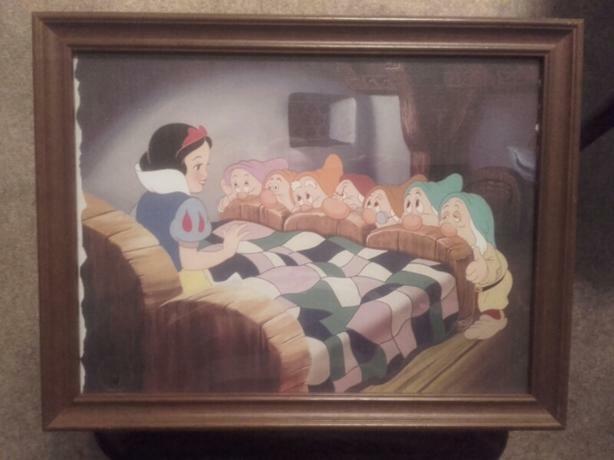 Genuine Disney Store 2001 Commemorative Collection Lithograph - Snow White and The Seven Dwarfs. See photo for official stamp. Framed, picture size approx 12 x 8.5 inches. Ideal decoration for childs bedroom.